Friday morning commuters, beware. Yes, there’s a snowstorm coming Saturday into Sunday. 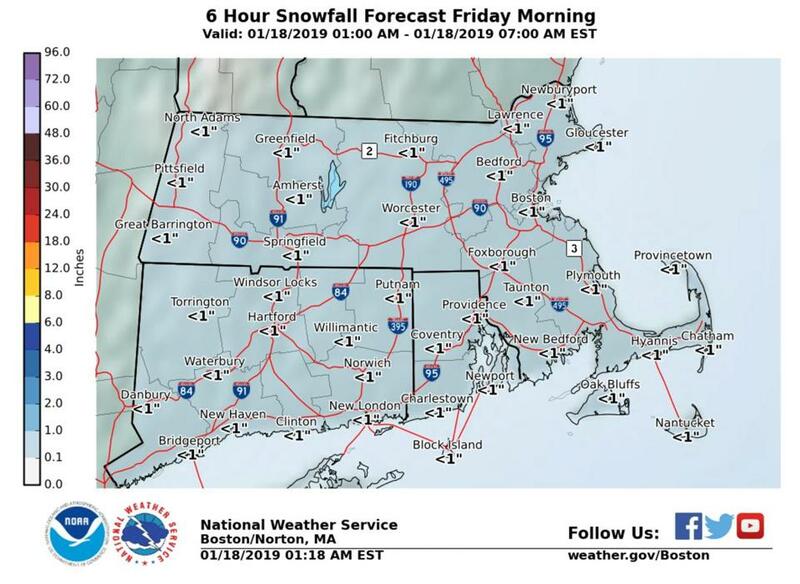 But light snow is also expected early Friday in Massachusetts. The snow began after midnight Thursday and is expected to continue into Friday morning across the area as people wend their way in to work, forecasters with the National Weather Service said. Scattered snow showers mean we’re only in for a dusting, but forecasters are warning that the precipitation could make the roads dangerous. Drivers should use caution late Thursday and Friday morning, forecasters said. The precipitation is expected to end between 7 and 9 a.m. Friday morning, possibly going out as light rain over much of the region, forecasters said. More snow is expected Saturday into Sunday, forecasters said Thursday afternoon, with the Boston area slated to get about 6 inches of it.